ScreenSteps Desktop 2.9 and Workgroup DocumentationScreenSteps Desktop & WorkgroupScreenSteps 2.9 Exporting to the System ClipboardHow do I paste the path to the PDF file into a file selection dialog on Windows? This lesson will show you how to navigate to the PDF file you copied to the clipboard into a Windows file selection dialog window. Note that you must first copy a document to the clipboard as PDF for these instructions to work. This is what a file selection dialog looks like. 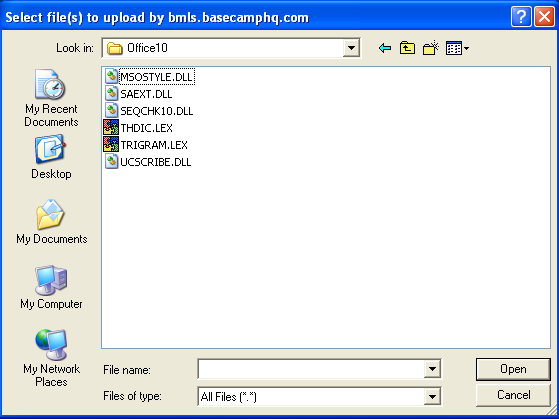 Click in the "File name" field of the dialog. Use CONTROL + V to paste the path to the PDF file into the field (1). 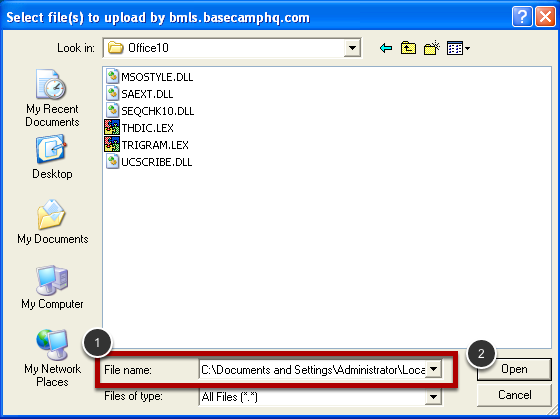 Click the Open button to select the file (2). Prev: How do I paste the path to the PDF file into a file selection dialog on OS X? Next: Why don't images show up in emails I send that I pasted a lesson into?